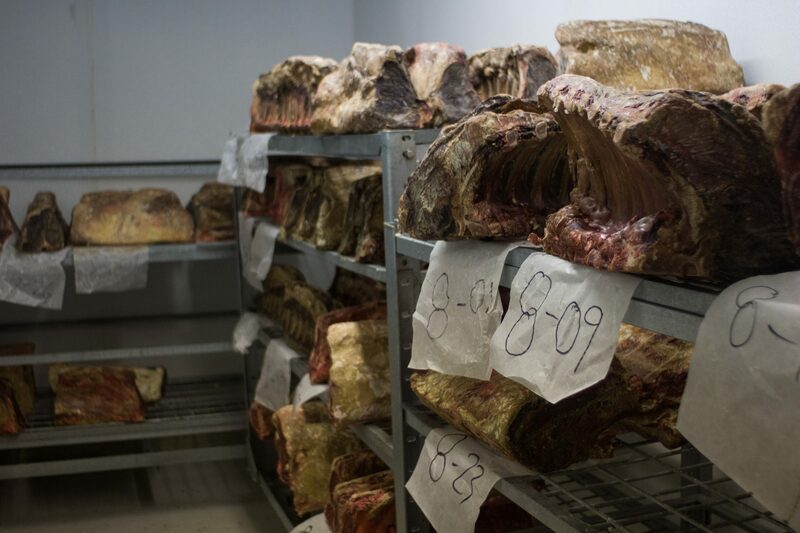 Dry aged beef has been hung for an extended period of time. 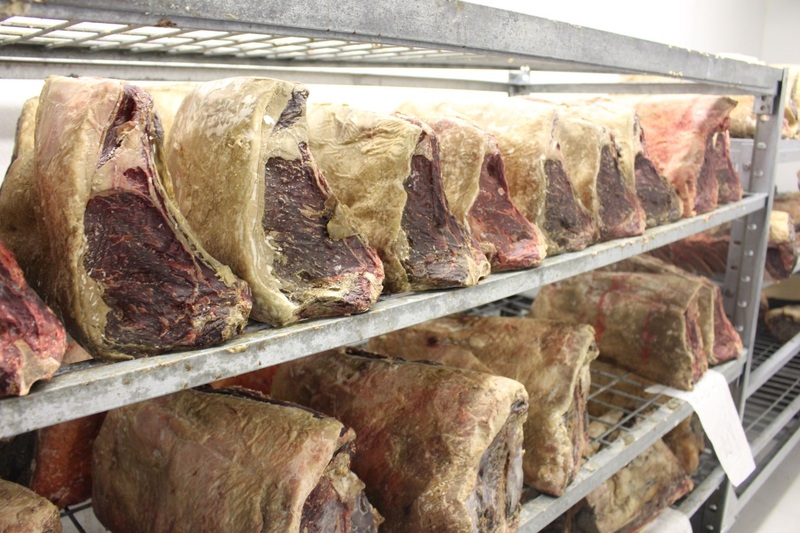 The beef sections are placed in a specially designed cooler to monitor the moisture and temperature. 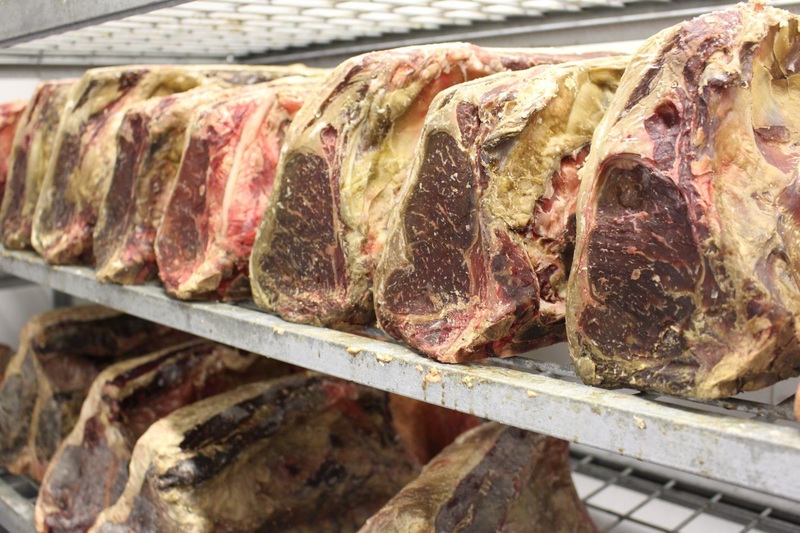 Only the higher grades of meat can be dry aged, as the process requires meat with a large, evenly distributed fat content. 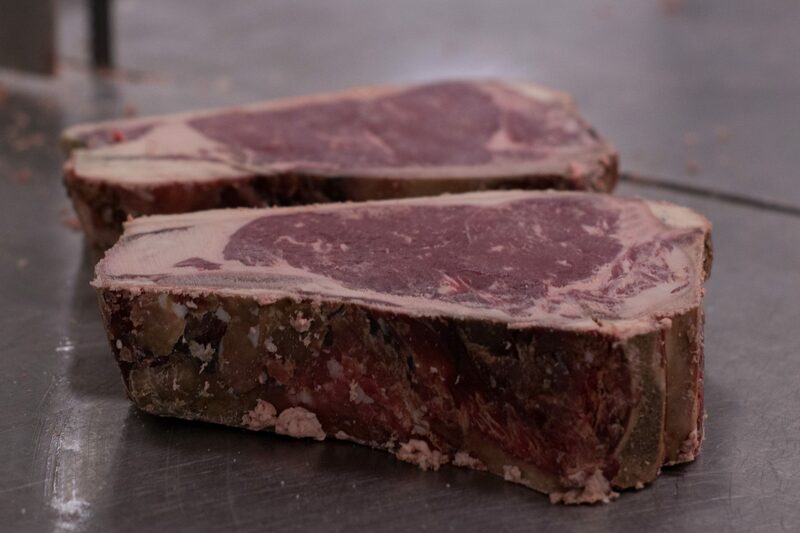 The process enhances beef by two means. 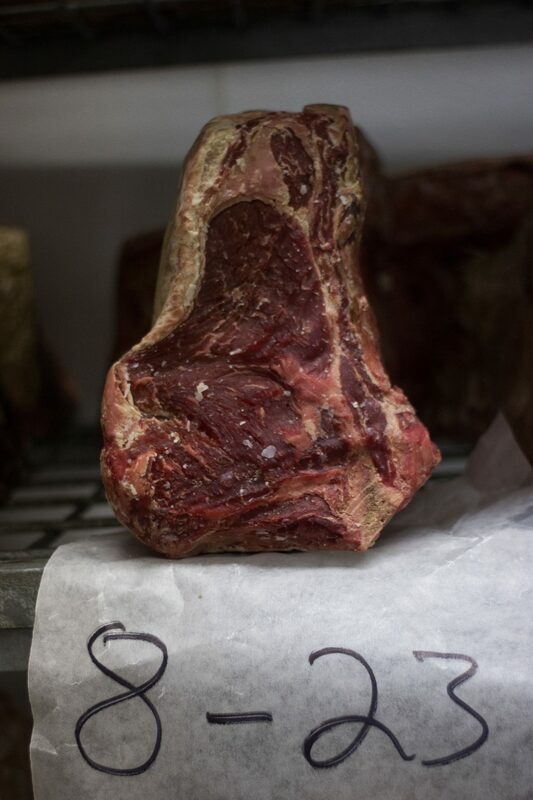 First, moisture is evaporated from the muscle. 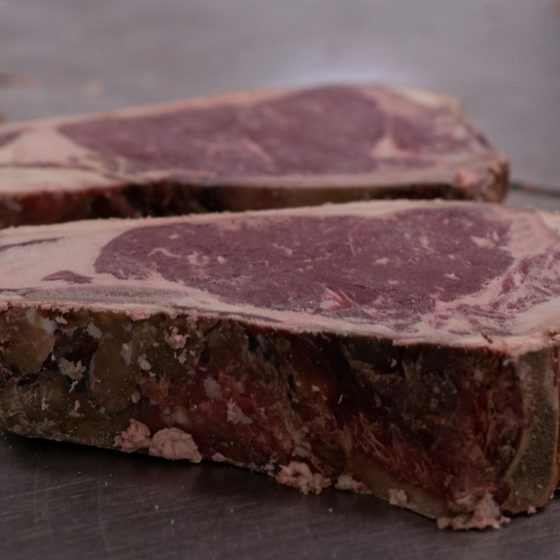 This creates a greater concentration of beef flavor and taste. 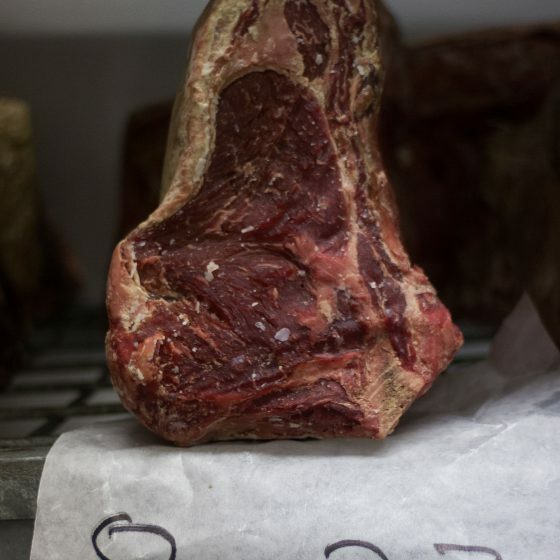 Second, the beef’s natural enzymes break down the connective tissue in the muscle, which leads to more tender beef. 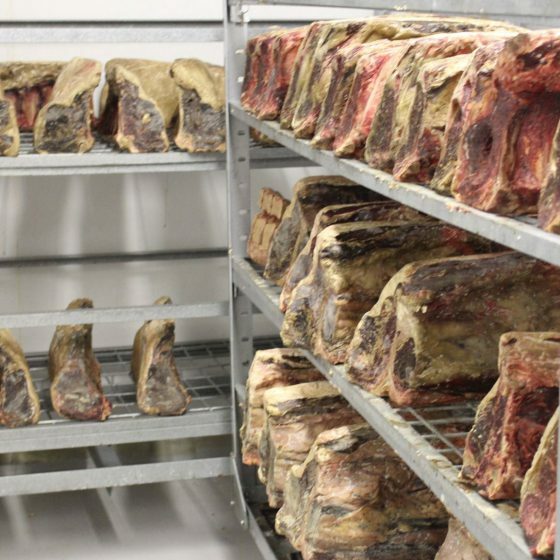 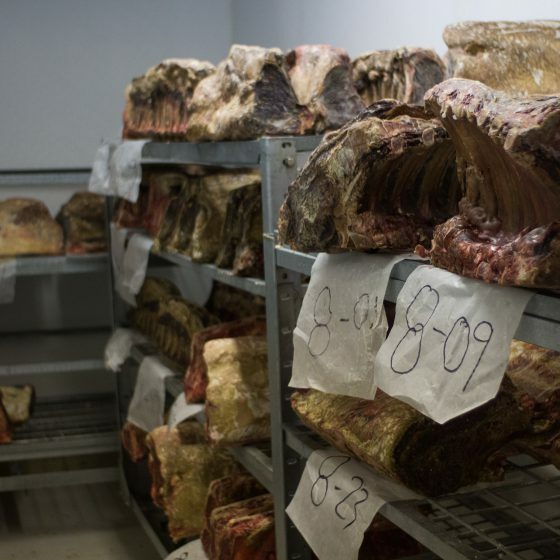 We have an onsite dry aging room that is unique and spacious. 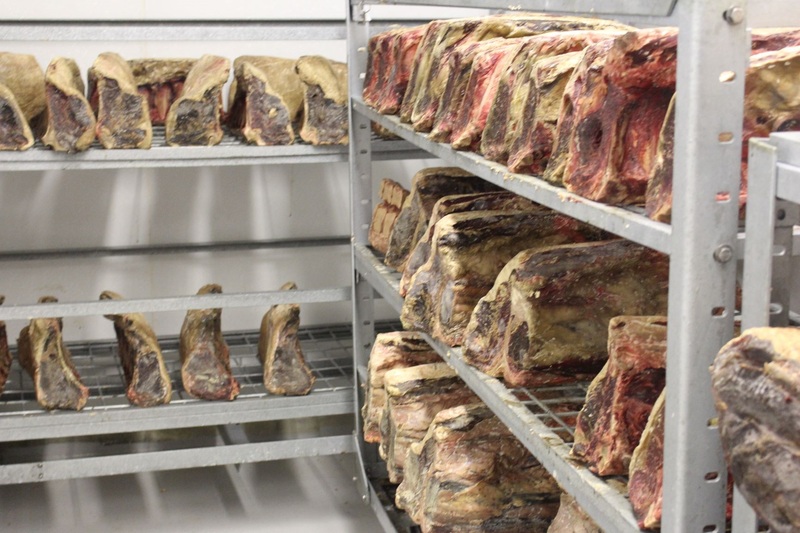 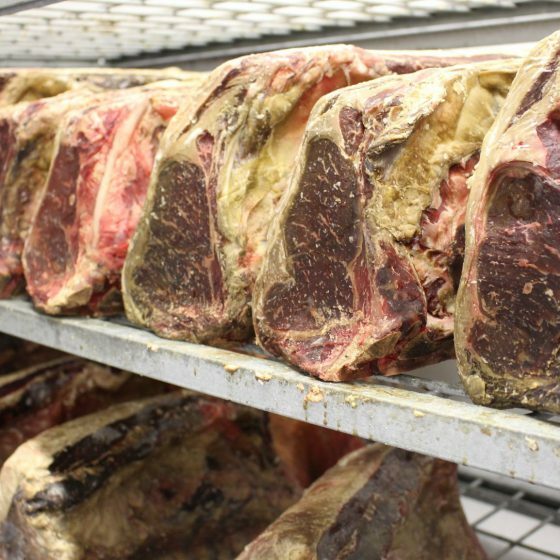 We can customize our dry age program and produce whatever you desire with the advance notice required. 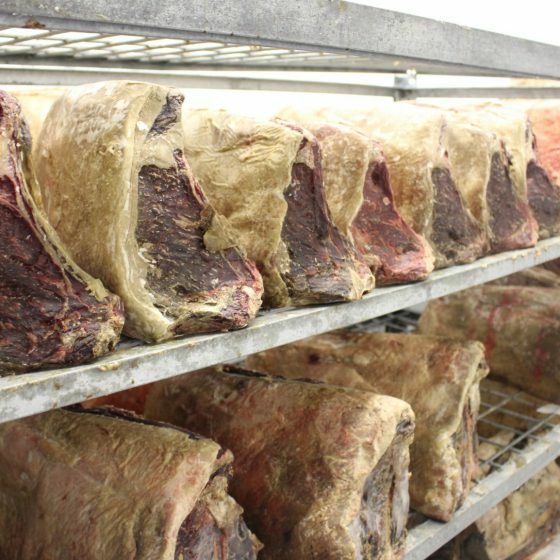 During the holiday season the room is filled with prime rib roasts and various cuts that make the holiday season very special and one of the busiest times of the year for us.